The Supreme Court on Tuesday dismissed a plea seeking a SIT probe into alleged bribery of senior judges in a case involving a blacklisted medical college. KANU SARDA: The Supreme Court on Tuesday dismissed a plea seeking a SIT probe into alleged bribery of senior judges in a case involving a blacklisted medical college and expressed displeasure at the “unfounded” allegations leveled by the petitioners against the Chief Justice of India and other judges. Calling the petition “scandalous” and the conduct of advocate Kamini Jaiswal and lawyers of the NGO Campaign for Judicial Accountability and Reforms (CJAR) “contemptuous”, a three-judge Bench observed that the listing of a second petition seeking SIT probe against judges while the first one was already pending before another court amounted to “forum shopping”. “Damage has been done to the institution by such petitions. Unnecessary doubts were raised against the integrity of this great institution we are all part of. 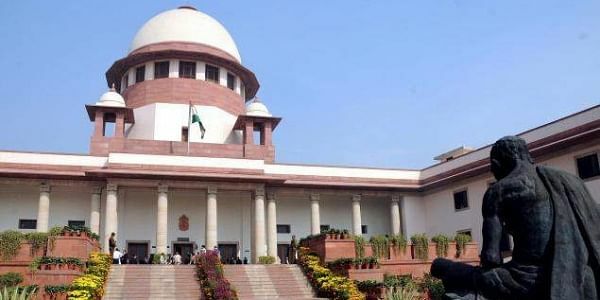 Let us all unite together and work again for the glory and welfare of the institution,” the Bench of Justices R K Agrawal, Arun Mishra and A M Khanwilkar said. “An effort was made to create ripples in this court. Serious and unwanted shadow of doubt has been created for no good reason whatsoever by way of filing the petition which was wholly scandalous and ought not to have been filed in such a method and manner. It is against the settled proposition of law,” the court said in its 38-page ruling. The Bench also clarified that the FIR filed by the CBI in the bribery case was not against any judge of the Supreme Court, nor could any FIR be filed against any judge through a judicial order. The court, however, made a point to stress that no one, not even the judges, was above law. “We must tell you that we are also not above the law, but it must follow due procedure. But this matter should stop here, this is what we expect,” said Justice Mishra, who read the verdict on behalf of the Bench. It said “unfounded allegations” ought not to have been made against the system and that too against the CJI, and such pleas should not have been preferred in case the majesty of the judicial system has to survive.